The earth is at 7.83 hertz. So is the Bionic Band. Since our bodies are about 70% water, when wearing the band, all other frequencies (cell phones, etc.) no longer have any effect. The result? We gain back strength, balance and pain relief. 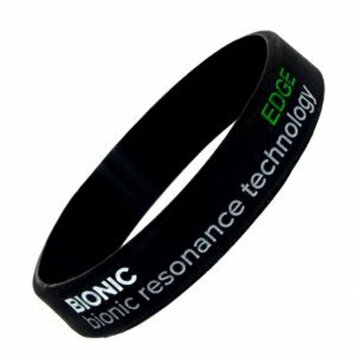 The Bionic Band holds its frequency permanently. Beware of knock-offs that do not! $55 for one, $50 each for two or more! Free shipping! The Sports Band is at a slightly higher frequency and still provides greater strength, balance, pain relief, but with extra energy. Please be sure to include your wrist measurement.